Classic Industries offers a wide selection of Travel & Luggage for your Chevrolet Bel Air. Classic Industries offers Chevrolet Bel Air Bags, Chevrolet Bel Air Folding Chairs, Chevrolet Bel Air Organizers, Chevrolet Bel Air Tables, Chevrolet Bel Air Tents & Canopies, and Chevrolet Bel Air Wallets. 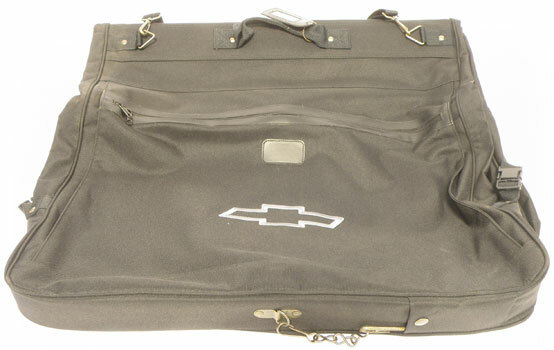 Put your laptop in this quality leather style black bag complete with the Chevrolet logo on front face of bag. This handy design has room for a laptop with all accessories. Includes a longer strap for over the shoulder use.